In this article, we will be reviewing the 10 best earbuds for your gadgets in 2019 , and that too under $50. Sounds too good to be true? Do you like listening to music on the go? Are you not satisfied with the quality you get with your basic pair of headphones? Well, let us tell you that you are not alone. The standard earbuds that you get with your phone don't have the ability to do justice with the music. Almost every user we have come across to complaints about the flat sound of their standard 'phones. So, what's the solution? If you've got a bigger budget, you may want to look into our review on the top over ear headphones under $100. S/M/L earpads make this product, one size fits all! �Super Sound with extra bass. �6 different best earpads make urBeats your perfect companion. � Driver design gives extra strong bass and great range. Noise canceling feature in mic. �Light weight design makes it extremely easy to wear. �It is compatible with almost any device. Number one on our list of best earbuds under $50 price tag in 2019 is ErgoFit from Panasonic. These are in-ears that guarantee comfort, style, and solid earbud sound. The in-ear design makes sure that earphones stay in even when you are on a move. Panasonic Ergofit comes packed with three different sizes of best earpads for that best fit. This (one of the best under $50 price) earbud is designed to give the users crisp sound, without any hiccups. The best in-ear design makes sure that you listen to every single detail with a wide frequency response. The long, 3.6 feet cable makes your music experience seamless. It doesn't cramp you for the room but you can easily put your device in your bag or pocket and control your music from the buttons on the inline microphone. It is really as easy as that. Panasonic Ergofit comes in unique, vibrant colors to suit your individual style. You can choose from 5 bright colors; and with it, you get a matching cable, best earbuds, and controllers. Panasonic is known in the music world for creating the best quality musical instruments and products. With its Ergofit earbuds, however, the company has explored new grounds - making its quality product and best products, highly affordable too! 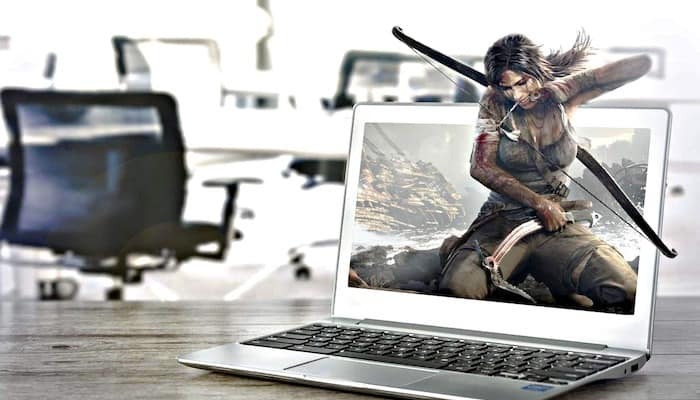 Why We Liked It - Everything about Panasonic Ergofit is just about perfect. From sound (range) to design, and colors to fitting - there is hardly anything you can complain about. Every music enthusiast either owns one good audio quality product from Beats by Dr. Dre or has it on his or her wish list. If you haven't owned one, we are going to make your life easier. urBeats by Beats by Dr. Dre is the number one hit amongst music lovers on a tight budget. 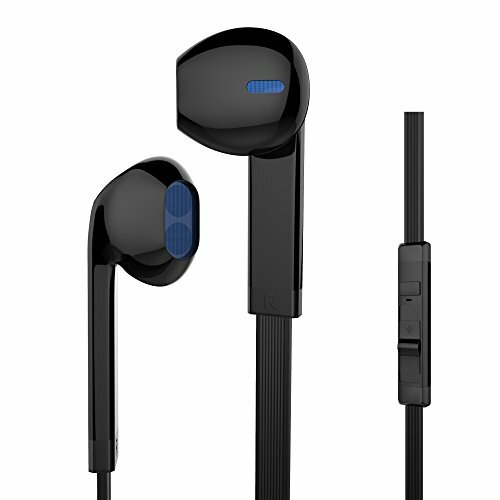 With these cool earphones, you get a complete package of best quality and affordability. The driver pumps inside the earphones are responsible for crisp and balanced sound output. With urBeats you might not get all the fancy colors but some users would call it elegance. You get earpads in six sizes all neatly finished in black. Why We Liked It - When strong bass is what you want and that too on a budget, there is no better choice than urBeats. It is also neatly designed and is pretty durable to use. The black signature Beats case makes it very handy to carry around. These earphones from MEE Audio might not be the most beautiful in the world but when it comes to sound, they are right up there amongst the best of 2019. RX18 Comfort-Fit is one of the lightest in weight and easy to wear in-ear. They are engineered for comfort and top quality sound. 10 mm dynamic drivers are the reason for better, crisper sound coupled with deeper effects and best bass. The affordable earbuds of MEE Audio RX18 Comfort Fit are designed keeping in view the natural design of the ear. This means that you can wear this pair of earphones for a good period of time without feeling any kind of irritation. RX18 from MEE Audio comes with a universal 3.5 mm audio jack and is compatible with almost any modern gadget like iPhone, Android Phones, and tablets, iPad, iPod, laptops, etc. This great product from MEE Audio also has a 1-year warranty, so, all you need is put it on and forget all your worries. + Light weight design makes it extremely easy to wear. + It is compatible with almost any device. Why We Liked It - This headphone from MEE Audio is best for any device. The best thing about this in-ears is its natural, ear-like design, which guarantees long hours of music playback and strong bass. These headphones from Amazon are probably one of the cheapest you will get in 2019 . However, the low price tag attached to this product doesn't compromise on the quality. If you mix comfort, style, and quality in equal proportion - what you get is AmazonBasics in ear 'phones. With AmazonBasics you don't have to worry about cheap sound quality anymore. Once you plug them in the only thing you'll get is amazing, crystal clear sound with extra attention to details and great bass. The 3.5 mm headphone jack is pure silver plated which creates that beautiful sound connection between the inexpensive earbuds and the devices. AmazonBasics in-ear buds come with a 4 feet long cable, which, to be honest, is not that long but still makes the headphones easy to wear and use on the go. When we talk about its compatibility, these inexpensive earbuds can be used with devices like iPad, iPod, iPhone, Android phones, tablets, MP3 players, etc. The clip on the cable makes it very convenient for your AmazonBasics to be attached to clothing. This product weighs only 0.03 pounds so that you don't feel irritation during long hours of music play. This AmazonBasics cheap headphone set comes with 4 earbuds of different sizes, which means that no matter the size of your ear, it is definitely going to fit in. With amazing overall sound, ease of use and the unbelievable price tag attached to it, this product from Amazon gives a great value for money. Here are some more highlights of AmazinBasics. Why We Liked It - If you buy these, you are going to surely fall in love with these buds (with extra range). They might not be your all-purpose ear phones but a great companion outdoors. 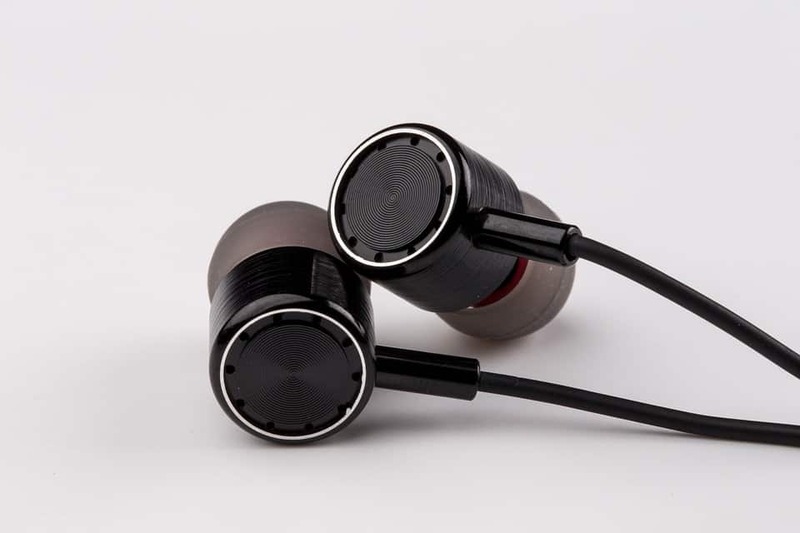 If you are a music lover who is equally cautious of the design factor, then these 'buds from Picun are going to impress you and everyone else for sure in 2019 . Picun S2 Earphones are for style and music freaks. Available in 4 different vibrant colors, these in-ears are worth every penny. The modern design automatically matches the natural built of your ears and adjusts perfectly. We all hate our head phones popping out of our ears - Picus has taken good care of that with their latest Picus S2. The soft silicone make of the budget earbuds makes the overall listening experience not only pleasurable but comfortable as well. 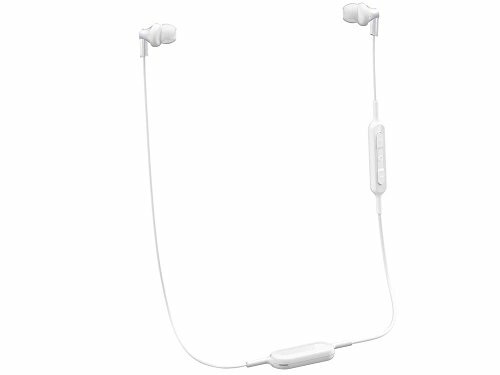 These pair of 'buds come with an extra 3 pieces of earbuds to ensure maximum grip and ease. Probably the best thing about these in-ears is the fact that they can be worn in two different ways. You can wear it like a normal headphone and you can also put the wires behind the ears and then plug the budget earbuds inside for optimal performance. It's the design of the Picun S2 that stands out from the rest of the competition. Why We Liked It - Everything about Picun S2 is perfect. The in-ear phones offer great stability, amazing voice quality, ultra modern design and out of this world comfort. Panasonic needs no introduction. The company has always been famous for producing top class products. With the ErgoFit RP-HJE120-S, Panasonic has lived up to the expectation in 2019 as well. These in-ears naturally go well with iPod nano, 5th gen as they are same color, design and the sound quality gets somehow enhanced as well. The ErgoFit design ensures utmost comfort and supreme fit for extended time periods of serious music play. The 9 mm diameter is almost perfect for any kind of ears. Panasonic RP-HJE120-S doesn't have a built-in microphone, so you will be able to hear the calls but would have to speak into your phone. The slightest of the shortcoming in these is the absence of volume control. You can pause, play, answer calls from the controller on the chord but for some reason, you can't control the volume of the sound. Some users have complained about the bass quality with Panasonic's RP-HJE120-S but it is not really an issue. You just have to properly plug it in your ears and the bass will be pretty nice. Here are some more details about the product. Why We Liked It - Summing it all up, Panasonic's RP-HJE120-S is one of the best in-ear buds in under $50 price tag. They have everything a music lover would want. If you are looking for a headphone that you can use in your house, while traveling, or at work then this one is must buy. 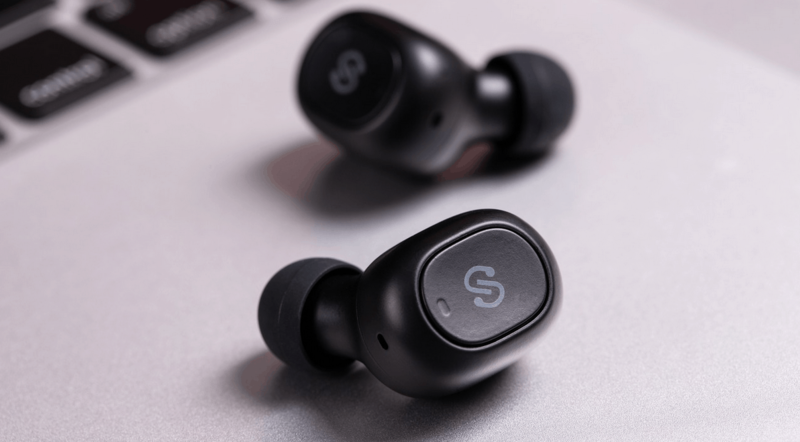 These budget earbuds from Samsung are the most famous amongst music fans in 2019 . The design is elegant and build quality is one of the best - exactly what you would expect from Samsung. 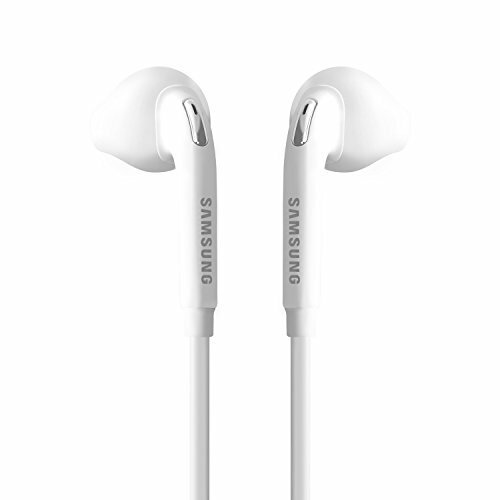 The engineering is world class as Samsung 3.5 mm Earbud Stereo Quality Headphones are fitted with two speakers in each earplug (a woofer and a twitter). These two speakers ensure top-notch bass quality and high-resolution treble. Can you really ask for more from a ear phones with this price tag? These headphones have a built-in panel on the chord, which is fitted with a microphone, music controlling buttons and buttons to answer calls. To ensure durability and crystal clear, deep sound, the Samsung 3.5mm Earbud Stereo Quality buds come with a stylish stylus that covers the 3.5mm jack when not in use. These will work like a charm on any Samsung Galaxy models as well as any Android phone. Its use with Apple Devices hasn't returned good results. So, if you have an Android device, Samsung's earbud stereo quality 'phones will put a smile on your face. Other than the quality of sound it produces, this product looks amazingly stylish - especially if you like the color white. The length of the chord is arguably a little short but seems like Samsung has put some thought in it. The company has deliberately kept it short to improve the comfort and use on the go. + The use of two speakers in each earbud is simply remarkable at this price. + Offers great value for money. + The remote control offers better functionality. + Great bass & range. Why We Liked It - If you are looking to a buy the best package on a tight budget then this one from Samsung is worth a look. From quality sound and range to stunning looks, Samsung's stereo quality 'phones have got you covered. Here is another great product from Panasonic on our list of best earbuds with under $50 price tag. 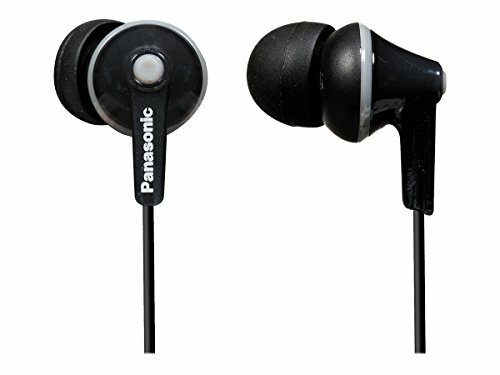 Panasonic RP-HJE120-PPK is yet another appealing pair of budget earbuds. They have everything a music lover on a budget would want. The same ErgoFit design of RP-HJE120-PPK ensures complete comfort and ease. It is also available in various different, bright colors. These Pasonics have a wider frequency response which guarantees a complete listening experience. The soft, comfortable, inexpensive earbuds provide unmatched comfort and make Panasonic's RP-HJE120-PPK your ideal companion for long hours of music play. Why We Liked It - The Panasonic RP-HJE120-PPK in-ear 'phones are the favorite of many music lovers, especially those who travel a lot. These cute little things are lightweight but when it comes to sound quality they are nothing short of heavyweight. It's a must-buy product in 2019 for music lovers. If you want style in 2019 then you must read this review. This one is for all of you who want great sound and don't want to compromise on looks too. MXditect is a name you can trust. These headphones are stylish and designed to fit in every ear. 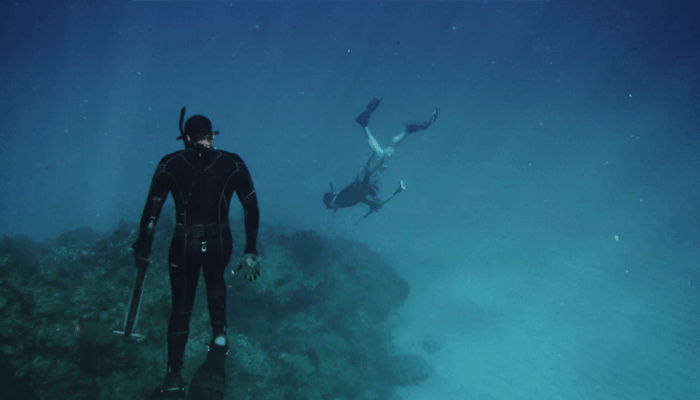 MXditect's can easily fit in and don't fall easily during light exercise. These earbuds come with two high performing drivers that ensure quality bass. It is because of these drivers that listeners are able to experience amazing details and deep sound. These buds are not wireless but the chord it has is simple, long and tangle free so that you can listen to your favorite music for long hours without being frustrated. MXditect earbuds have a standard 3.5 mm interface, which means that you can use it with any smartphone, PC, laptop or a tablet. The microphone on these 'phones ensures hands-free operation during calls. The remote on this headphone can pause, play, and skip tracks with ease. It also has a noise cancellation feature. The best part about these earbuds is the budget price tag it carries. It offers great value for money as it is cheap, offers great sound and is pretty durable as well. 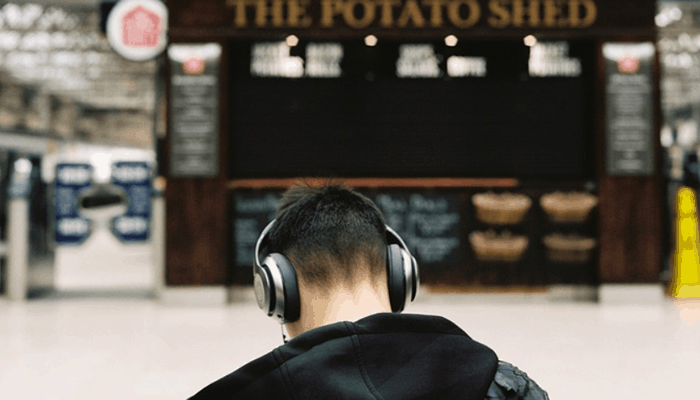 Why We Liked It - When you're looking for headphones on a budget that is fit for almost every occasion that MXditect is the 'phone for you. The stylish design and the compatibility are 2 of the major highlights of this product. VAVA MOOV 11 are dual driver earphones, which produces high-fidelity sound for best music experience. The sound quality that you get with VAVA MOOV 11 is no way near to what you get with single driver headphones. Saturated mild range setting and extended bass catch every detail. When it comes to design, these buds are up there amongst the very best. Simple and sleek design lets users enjoy their beats on the go and for an extended period of times. These buds are fully compatible with iOS and Android devices. We haven't tested them on laptops and PCs but since they have a 3.5 mm audio jack, they would be good to go. + Easy to wear for an extended duration. 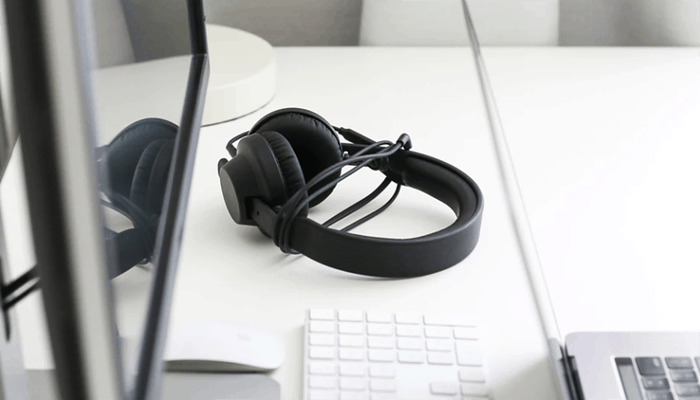 Why We Liked It - VAVA MOOV 11 might be at number 10 on our review list but this headphone has everything you would want from a budget headphone. From looks to performance and durability, it has every bit. A must buy in 2019 , for sure! The Panasonic ErgoFit In-Ear ear buds are our top pick for cheap earbuds under $50 because they are best for everyone. The best thing about these cheap earbuds is that they are ergonomically designed to fit any kind of ears. Ears shapes and canal sizes differ a lot between people so Panasonic included small, medium and large ear pads so as to give you the best fit. There is microphone and controller too to make taking calls easy. They deserve the top spot because they are equally great at audio reproduction. 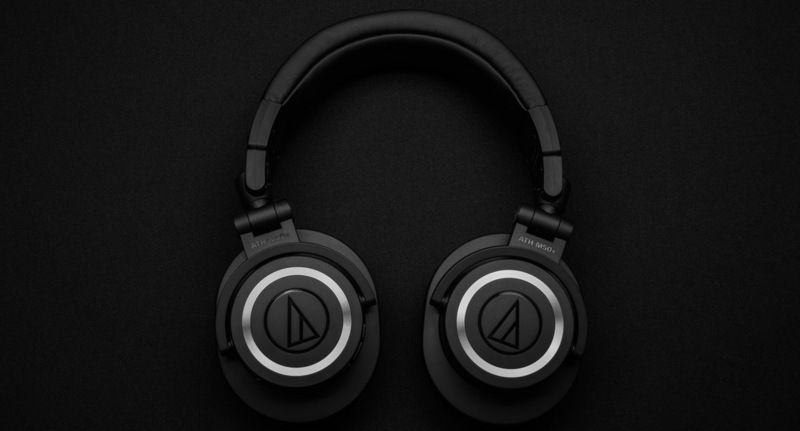 You will get a balanced sound with crisp high frequencies and deep low frequencies. 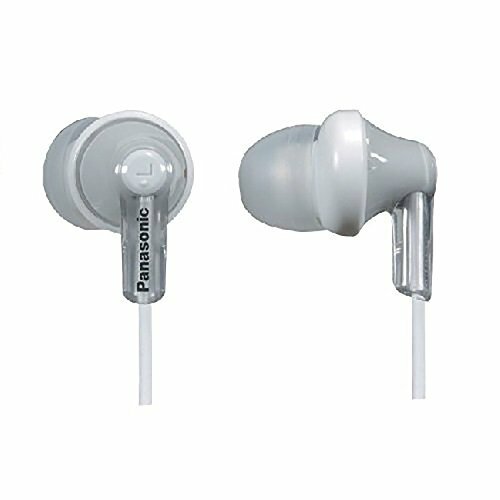 Panasonic is a known brand that takes the comfort of the user very seriously and that is quite evident with these soft earbuds. There is plenty of color choice too with a considerably long cable. It may just be the best solution for all your audio listening needs whether at home running treadmill or at work enjoying some motivational beats. Fortunately, enough, an under $50 budget price tag budget is enough to get you high-end earbuds set. 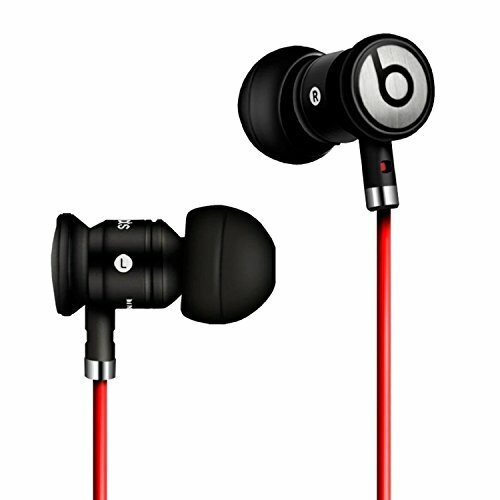 urBeats EarBuds from Beats by Dr. Dre are high-quality ear buds with the best sound. Beats are known for their authentic audio signal reproduction. You will not miss any beat when you turn up the music on these soft pad earbuds. You get 6 extra ear silicon ear tips to cater to different size needs. You also get a microphone for taking calls without needing to touch your phone. If you want the best quality with under $50 price tag, this is the product you are looking for. Besides quality, you also get a lot of style with these cheap earbuds. Ever since beats came out, people loved them for their sound but even more so for their design and colors. urBeats are no different as they have managed to pack some style in something as small as an earbud. NEE Audio RX18 Comfort Fit Earbuds are great value for money as they are comfortable and decent quality and sold at an astonishingly low price. What is not to love about that? The RX18 has 10 mm dynamic drivers that deliver crisp and balanced sound. You have three sizes of earbuds and five colors to choose from. 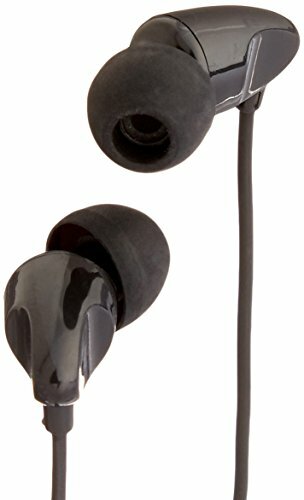 The cheap earbuds are super comfortable and you can wear them for hours and hours without feeling a thing in your ears. These are very light weight but do not think the quality has been compromised. In terms of sound and durability, these can easily beat most low-end earbuds. These are compatible with almost every phone, tablet and computer so you just need one for all your devices. Earbuds may just be one of the best inventions of recent times as they allow us to enjoy our favorite music anywhere at any time. 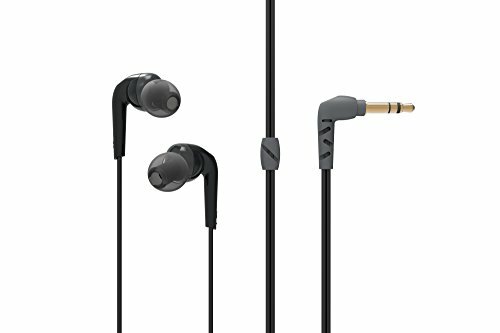 The good news is that a budget of $50 for earbuds is ample to get you a nice set that will have quality audio and will last long. Even in this budget and similar price ranges, the varieties are many so it can be a bit confusing. Nevertheless, this buyer’s guide will help you comb out the best earbud with under $50 price tag. If you think all ear buds are the same size, you are mistaken. Earbuds size differs too and you have some that are very small and some that may be big for your ears. There is no thumb rule for this but adults usually would want the large size and kids or teenagers would need the small ones. Size is important because it can affect the comfort of the earbuds. A well-fitted earbud will not be too snug or too loose when you put it in your ears. The latter case is even worse because the ear buds will come out when you move. Most earbuds come with different sizes of ear tips which are better as you can use the ones that fit your ears. The frequency response differs from one earbud model to another but knowing the frequency response is important. If you like bass then the lower end of the range should be low enough to give you a deep bass. Earbuds come both wired and wireless (Bluetooth) and the benefits are similar to that of wired or wireless headphones. Although wireless or Bluetooth ear buds are rather new but they are quickly becoming very popular. They are usually expensive but you may be able to buy a decent Bluetooth quality pair with under $50 price tag. Wireless earbuds use Bluetooth and the main advantage is that you do not have the hassle of cables. When you put your earbuds in your pocket or bag, they often get tangled. Also, the wires can be annoying when you are working out. Since the Bluetooth technology has improved considerably the sound on these wireless earbuds is pretty consistent. However, the Bluetooth headphones have some time more to be as good as the wired ones. 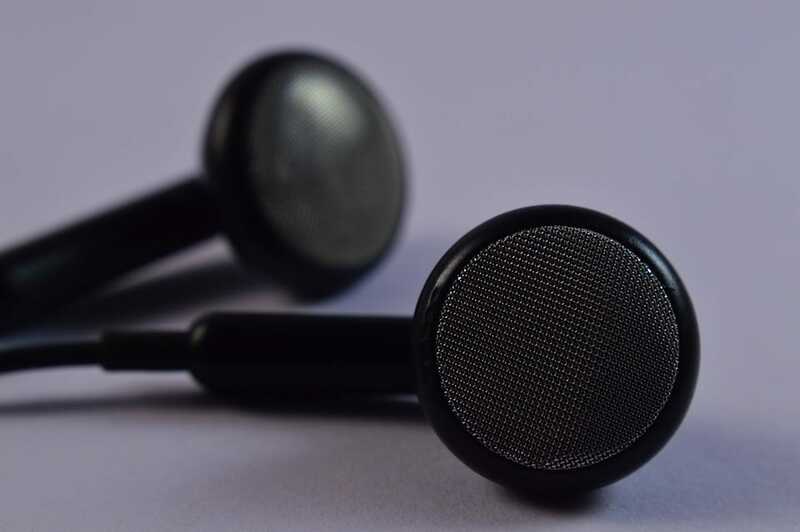 Noise isolation or active noise cancellation is virtually present on all earbuds as they fit into your ear canal which makes it hard for external noise signals to enter the canal area. However, there are earbuds that even have proper active noise cancellation or noise isolation. They have a microphone built in that detects the incoming noise frequencies from the surrounding and a speaker emits similar inverted frequencies to cancel them out. These are a bit more expensive so you would have to be very lucky to find something with under $50 price tag. Which Are Better, Wired or Wireless Earbuds? Wired earbuds are more commonly used than wireless earbuds but the latter is quickly becoming popular. You can easily find both wired and wireless headphones on a budget. Both have their own benefits which may appeal more to you depending on your taste and need. Let us discuss the wired earbuds first as you will have abundant choices in these. One thing is true that the sound on wired earbuds is much more consistent as compared to wireless earbuds. That said the newer more expensive earbuds have attained somewhat same consistency. Wired earbuds are not reliant on Bluetooth signals so you can be sure about the consistent audio feed. As for the quality, that entirely depends on the construction of the earbuds themselves. A good quality pair of quality components would definitely sound great and feel very comfortable in your ears. Coming to the wireless earbuds, their main advantage is convenience and portability. We all have had to pull our hair when we could not fix the heavily tangled wire of the earbuds after keeping them in our pocket or a drawer. With a wireless earbud, you will obviously not have this problem as some are complete wireless while others just connected by a small piece. Earbuds are already very portable, to begin with; wireless earbuds are even easier to carry anywhere. Which one is best is a bit hard to answer as both have their own qualities. The answer depends on you and your needs. Do you need earbuds for your morning run? Then perhaps wireless earbuds will suit you more. Do you use earbuds very frequently? If yes wired earbuds would be a better option as you can just plug them in and listen. Which Earbuds are Best For Running? One of the obvious usages of earbuds was listening to music while working out or running. As opposed to on-ear 'phones, earbuds are small and lightweight which makes them perfect for wearing while running. Another reason why earbuds are the best workout partners is that they are more robust at dealing with the moisture. 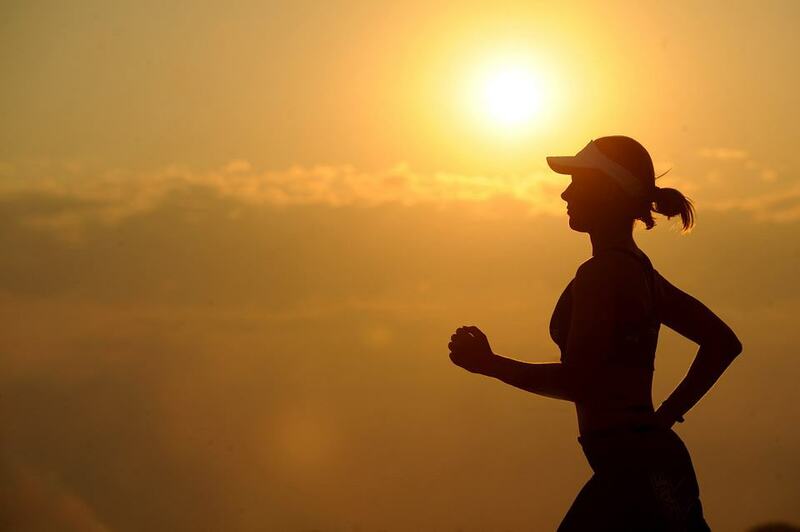 You will obviously be sweating a lot while running and ear cups can get damp and develop bacteria. Earbuds can soak in the moisture and continue playing music in your ears. Earbuds also stay in position even when you are running. Unlike typical headphones they are not resting over your ears, in fact, they are well inserted into your ear canal. So the friction allows them to stay intact even when you are moving up and down. The best earbuds for running would be the ones that fit snuggly into your ears. There are some models with stabilizing fins built into them which keep them in position. Wireless earbuds can be good for a workout as well as you will have minimal wires to deal with. But make sure to invest in a good pair that is consistent even on being mobile. If you believe you sweat more than usual, only go for the ones that are sweat or water resistant. Again these will be a bit more costly but if you enjoy music with your running it is definitely worth a try. What are the cheapest earbuds? These earphones are very cheap and will not set you back more than $40. In fact some of them are under $20. These are those earbuds that are cheap but quality made from known brands. These will work with most devices and will last for a considerable amount of time. 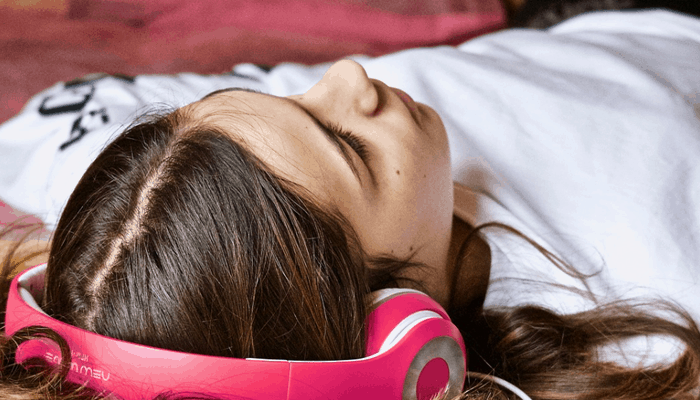 Is long term use of earbuds safe and hygienic? Earbuds come in contact with your ear canal directly and depending on your users can stay there for long periods. 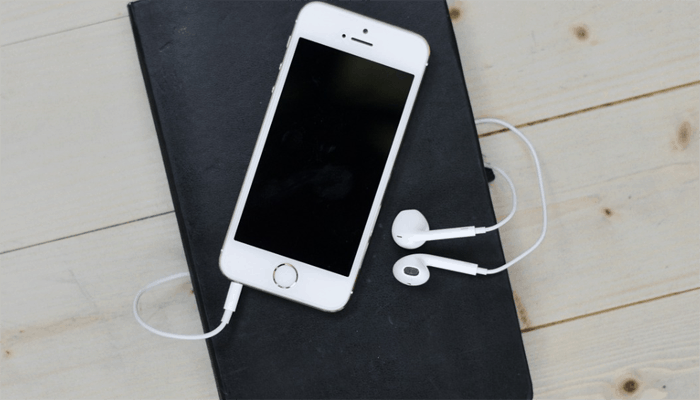 There are several factors that can make your earbuds unhygienic over time. 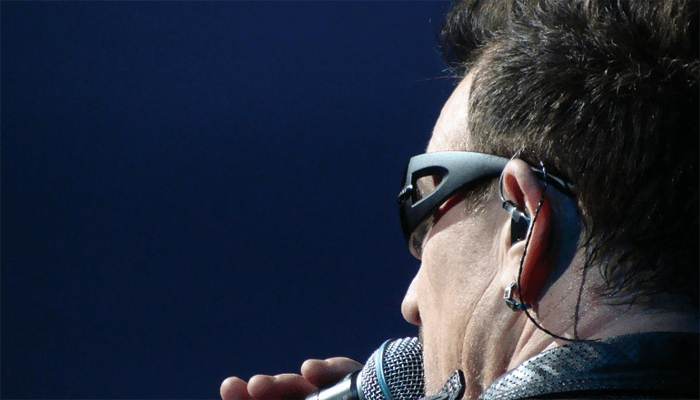 The moisture from your sweat can get accumulated in and over the ear buds over time. Then you also have ear wax that can go inside the ear tips. These can get dirty faster than you would expect and it would not be safe to keep using these unclean earbuds. Use a gentle soap or detergent to clean the ear tips. You can also use an anti-bacterial hand wash if you want. Do not dunk them in just wipe them off especially from the inner circumference. You should use a soft cloth with this cleaning solution to wipe of the dirt. Do not use too much soap or detergent as the cloth will not be able to remove it and that will damage the ear tips in the long run. If the dirt is very nasty or you are dealing with solid metallic tips, you can use small brush to do the job. 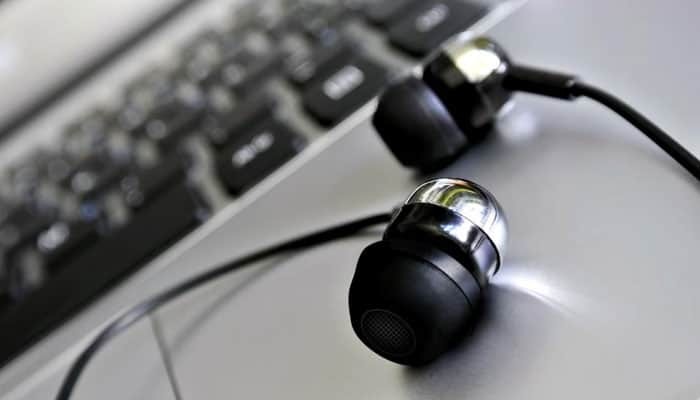 Clean your earbuds frequently especially if you use them while work or live in a very humid climate. Cleaning them regularly would ensure that they last long and that your ears stay protected from any infections. Even if you own cheap earbuds, it does not hurt to clean them every once in a while to make sure they keep working fine. Another solution for making your earbuds clean is to replace the ear tips. There are many models that come with extra tips just for this purpose. You can simply take the old ones off and put the new ones in place. Make sure to use the same size so that you keep feeling comfortable with them. Is it safe to share earbuds? Sharing your earbuds might not seem like a big deal but it should because there are some risks involved. Similar to listening to music too loud for too long, sharing earbuds can have an adverse effect on your ears. Unlike headphones, ear buds go into your ears as opposed to just sitting on them. And inside your ears, you have sweat and ear wax that can be transmitted to the earbuds. Now, this is probably the worst case scenario but it is always best to be safe than sorry. Ear mites are little creatures that are found on the surface of the ears on some animals like dogs. If someone you are sharing your earbuds with owns a dog, there is a chance they have these things in their ears. If that is the case, it can easily transmit into your ear through these earbuds. Ear aches are acute and no one wants that. 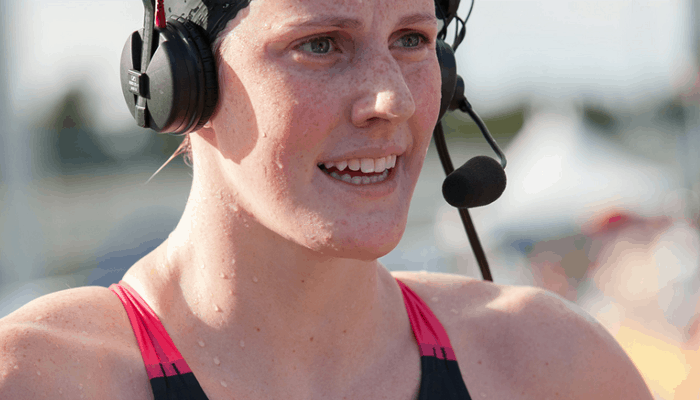 People have fungus in their ears and they can have what is called Swimmer’s ear. If they do, their fungus can transmit to your ears via the earbuds you share. It would not be a good idea to share your earbuds with anyone because you cannot really tell if they have fungus. The bacteria from somebody else’s body may cause irritation and itchiness in your ears and that is excruciating. You do not want a tingly feeling inside your ear canal. Bacteria is present almost everywhere so there is a big chance it is there in your friend’s ears too. Generally, too, it is not a good idea to share the earbuds with someone. If they are sick, their germs could get transported to your body through earbuds. They do not have to be ear related. You even get the flu this way as germs can enter through your ears. Obviously, this does not mean that if someone wore your earbuds there is no way left but to discard them. You can always clean them up and wear them again in case you do not want to be impolite and turn down the person. 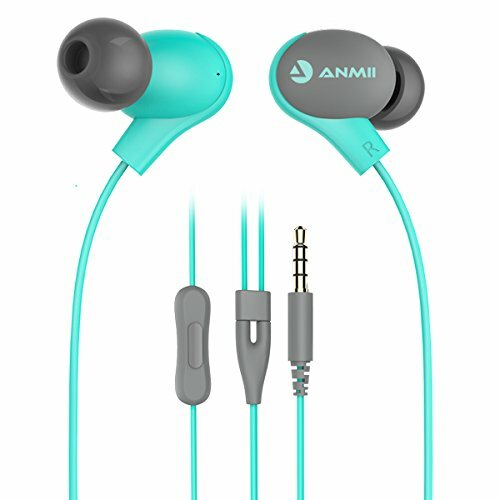 Is $50 a good budget for quality earbuds? Yes, earbuds are not that pricey as some headphones so you can easily find a good quality earbud under $50. The ones near the $50 mark are likely to be of higher quality than those at the bottom of this price spectrum. However, that is not true for all earbuds as we have seen some high-quality earbuds that cost less than $15. You can find most types of earbuds in this budget including Bluetooth wireless earbuds. While most of them are expensive some are rather affordable with a price tag of $50 or slightly less. 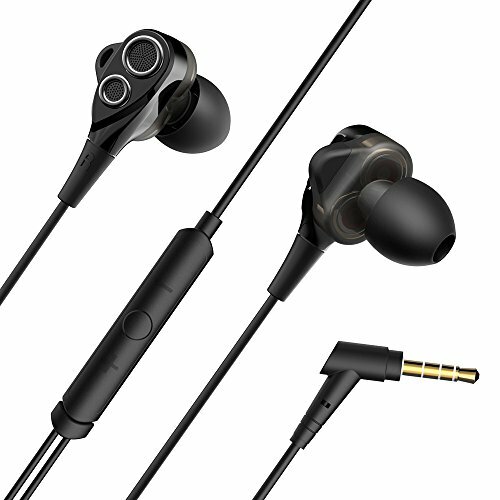 You can even find earbuds from well-known brand names like Panasonic, Sony MDRXB50AP, Sennheiser, and JBL. Buying from such brands should further relieve you of any doubts about the quality of earbuds. These companies only make the best products that are dedicated to producing well-balanced sound and are designed to be comfortable and long lasting. What is the flat sound? 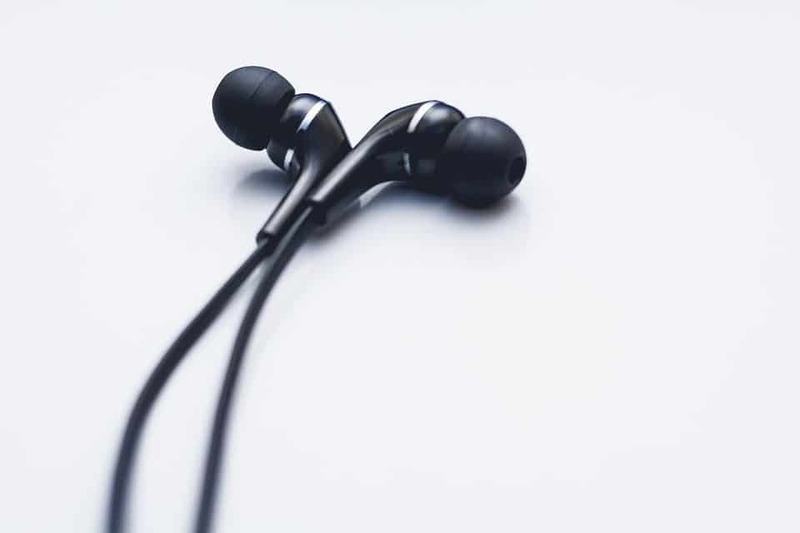 When buying headphones you will often read the term flat sound which basically means that the headphone or earbud will reproduce the audio signal they are receiving with little or no deviation. This is not present on all headphones and there is a reason for that. Flat sound is not that exciting especially for some genres so headphones add some boost to some frequencies to make it more exciting. For example, many songs do not have deep bass but many people like their bass boosted. So earbuds makers tweak the lower frequencies to be more prominent and as a result, the bass gets boosted. For recording and mixing purposes, you should go for neutral or flat sound equipment as you need to record music as it is. Many people actually prefer flat sound better over other tweaked sounds. Many earbuds under $50 will have a flat sound so you can easily find one within this budget. Make sure to check out reviews about sound quality to see how flat the sound really is. If you are one of those people who have to get a pair of earbuds every few weeks, you are not alone. While quality has a major effect on the life of the earbud, sometimes it is just how we handle them that break them regardless of the quality. So in order to make sure your earbuds last long you will need to take care of them. First of all, you need to keep them clean as unhygienic earbuds will lose quality rather sooner and also be a hazard to your own ear’s cleanliness. Make sure to often clean the ear tips to remove all the dirt accumulated. You should store your earbuds carefully. Many times the earbud’s wires break when you keep them in a bag or pocket. Why? These are delicate and even a little pressure can rupture the wire or break the earbud. Make sure to not keep them under your stuff. Whenever you are storing your earbuds make sure to coil the cable so it does not get tangled. Tangled wires are a pain to resolve and can damage the internal wires too. If you have a small pouch or ziplock bag perhaps you can keep the earbuds in them. Regardless of the price of the earbud, if you take good care of them they will last quite a long period. With expensive earbuds, you should be even more careful because you spent so much money on them. And for earbuds, a price of anything above $20 should count as expensive because you can find scads of products under $20. They often come with pouches and extra ear tips so you will not even have to buy these separately. As for ensuring the sound quality lasts long, buy from a trusted brand that is known for their high quality sound. This is the simplest way to avoid any risks of deteriorating sound quality. With low quality earbuds, the problem often is that the sound quality changes drastically after some time especially when used at high volumes. Buying a decent quality model would ensure no such thing happens.